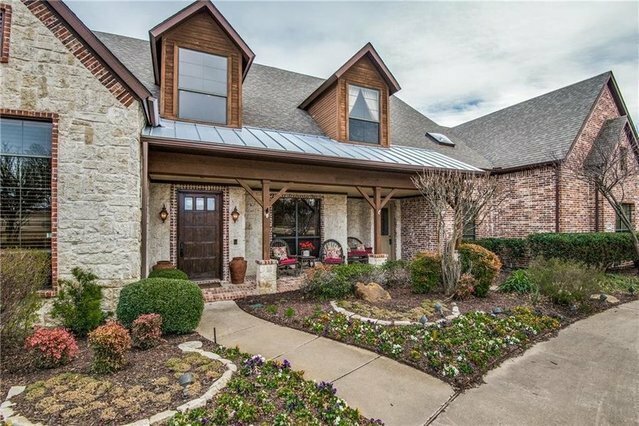 One of The Most Sought After 3.76 Acre Creek Lots in PROSPER! This Luxury Custom Pool Home Overlooking Gentle Creek Golf Course in The Front & Wilson Creek in The Back. This Showcase Home Offers 5 Bedrooms, 4.5 Baths, Executive Office, Huge Game Room, Formal Dining, Extensive Wood Floors, Gourmet Kitchen, Gas Cook top, Built-In Refrigerator & Icemaker. Master Retreat with Sitting Area & Spa Bath. Exquisite Family Room With Walls of Windows & a Family Sized Nook Overlook an Expansive Backyard Paradise with Lush Landscaping That Surrounds a Resort Style Pool & Spa, Covered Patio, Water Well, Pond & 5 Car Garage. Meticulously Maintained. If you are Looking For Privacy This is Your Home. Excellent Prosper ISD.